Are mobile friendly sites really that important? What Can a Webmaster Earn in the UK? WordPress or Joomla: Who’s the King? 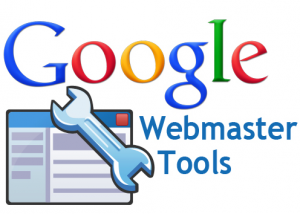 Becoming a webmaster and a successful webmaster is easy. Easy, in relation to gaining knowledge; your many years of studies are what are going to enable you to say you are a webmaster. Having acquired these skills, how do you utilize them for the greater good of your clients? This is where your success will be determined. There are many basic skills you are not taught in the many institutions of learning and this is where this article will help in this regard. Your mastery of understanding the human component as well as lots of patience is very important. The clients will all have different personalities, and in order to deliver exactly what they hire you for, you will need to know how to interact professionally as well as patiently with them. This is what will set you apart from other webmasters. You being able to liaise with the support personnel and web hosts are also very important. You being able to create an understanding and workable relationship with them will enable create an environment of excellent service for your clients. As mentioned earlier, patience is important in dealing with clients; but there is another benefit of patience, this is dealing with the many hours it takes to develop the website just perfectly for the client. Technical issues, having the content done just right to suit the client, being able to understand and tweak the technology to have the results you want. Sometimes you are so overwhelmed with the many issues you may encounter, you want to just let it go, but you have a deadline. Persistence is important, and having the characteristic of patience will enable you to persevere. Never assume you know everything. Technology is changing quickly, even as you read this article, there is something different and new to learn. It is Google you may refer to for help as well as other resource sites; but, Google is definitely your friend. Finding the right information to solve the problem facing you can be achieved through researching Google, so, never be too proud to seek higher knowledge. Others who have been in the industry longer may have answers you can use. Picking their brains and challenging their expertise also helps you in learning a few valuable tricks you may need to use one day. A defeatist approach is never a good sign of a good business person. Challenges are there to make you stronger. You have to understand that having a setback in business happens. 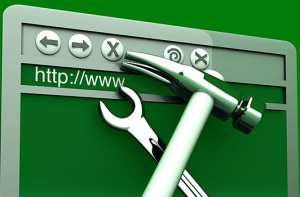 No matter what you do as a webmaster there is going to be a job with some technical issue you know you are able to fix, but the answer eludes you. Persistence and not defeat will have you presenting your client with maybe your best work ever. Troubleshooting with commitment enables you to persevere. Maybe leaving the problem for a while and doing a leisure activity will get your creative juices flowing again, and asking for an extension on the delivery date at your expense is also an option. There is always a way around any issue. Think of the biblical story of David and Goliath; David’s confidence in what the Lord was able to do helped him to defeat the great giant. Your Goliaths are only what you make them be. Have confidence in you and your skills and see what happens.